Nyang Nyang is well-known amongst locals and expats as a place of tranquility away from the crowds. Getting there requires a 20-minute descent down sometimes very steep stairs but the vast fields, calms seas and great waves further away are worth it. There’s plenty of wood to be found to build a campfire. As the beach is quite far from any shops or restaurants, please bring all amenities with you. Word of warning: A new road is being built to better access the beach, which means the beach won’t stay unspoiled for long. Go before it’s too late! 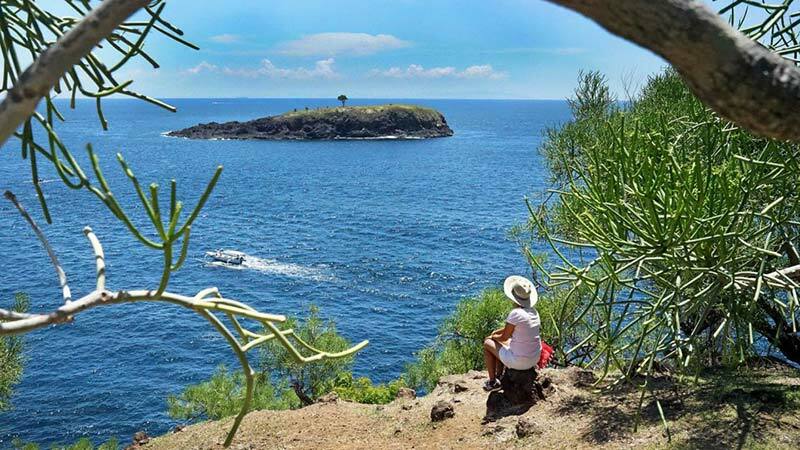 Bukit Asah in Karangasem offers cliff side camping at its best. It is very easy to access from the road, and you’ll be rewarded with awesome views over Nusa Penida and some smaller islands. Firewood can be found at the campsite, and amenities can be bought just down the road in the village. Camping here is best during rainy season, as you will be surrounded by lush greenness. 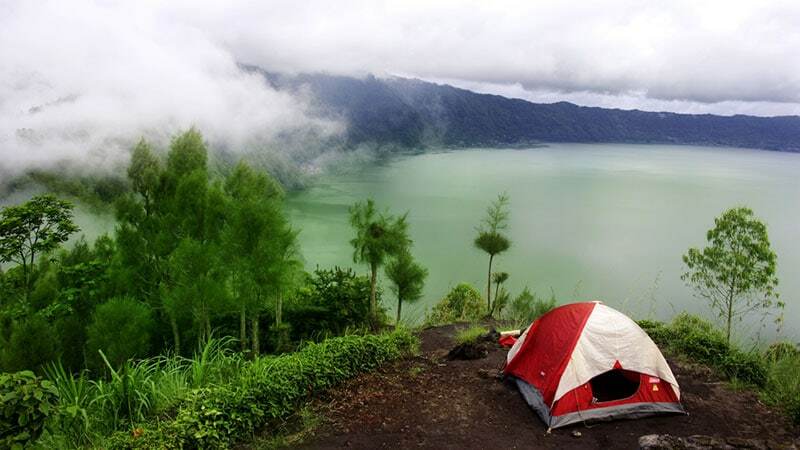 Pinggan village campsite offers you great views of Bali volcanoes such as Mount Batur, Mount Agung, Mount Abang and even Mount Rinjani on Lombok. It takes a bit of a walk to reach the grassy campsite, just ask locals for advice if you think you might end up lost otherwise. Amenities like food and water can be bought at the village nearby. Remember to set your alarm for early, so you’ll catch some of the best sunrise views on the island. 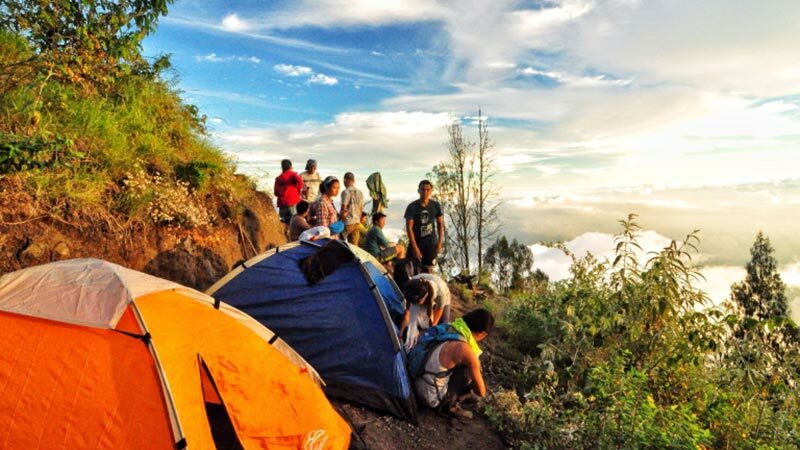 This campsite is located to the South of Bedugul. On a cloudless and moonless night you get to admire a sky full of stars, thanks to the lack of light pollution in the area. Bedugul is quite a cold and rainy area. That makes for green scenery but cold nights, so it is a smart move to pack a sleeping bag to take with you and make a campfire in the evening. Supplies should also be bought beforehand. 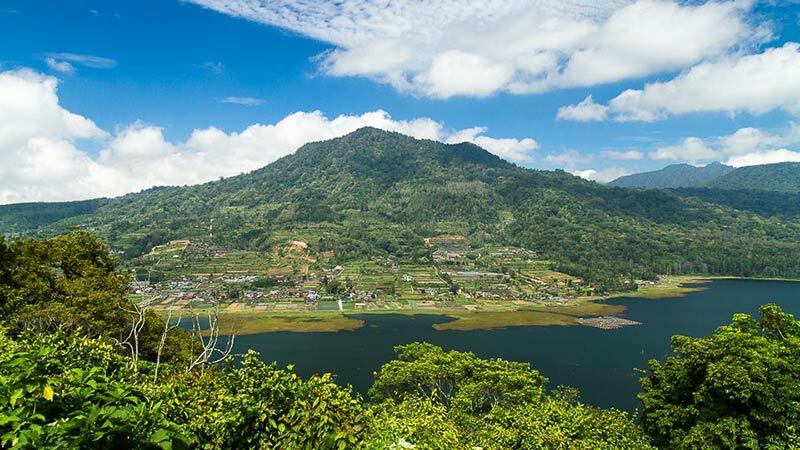 Mount Batukaru is an active volcano, and also has the largest crater-lake in Bali. The campsite is on the very summit of the volcano and has amazing views. There are some trees that surround the site, which will give a little bit of protection during the night. As the campsite is at an altitude of 2200 metres, you should be prepared for cold temperatures. All supplies and a headlamp should be brought before ascending the volcano. During sunrise you can see Mount Agung and even all the way to Mount Raung in Java. Mount Abang is the highest part on Mount Batur caldera’s rim. 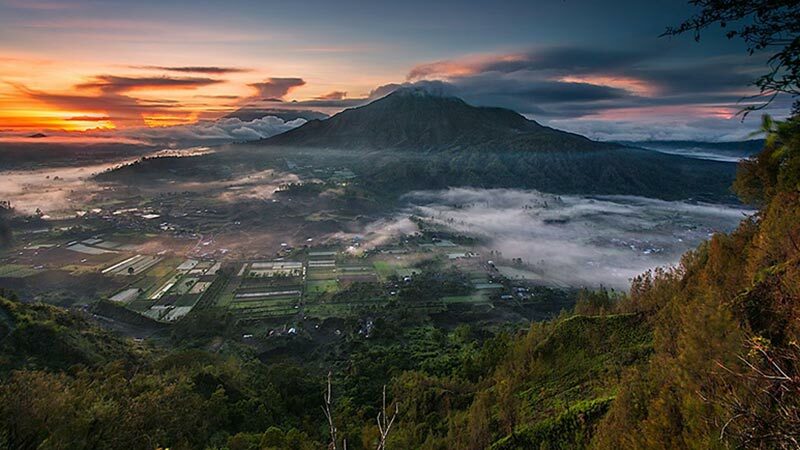 It used to be a part of Mount Batur, but the eruption in pre-historic times separated them, and nowadays Mount Abang is the third highest mountain in Bali. 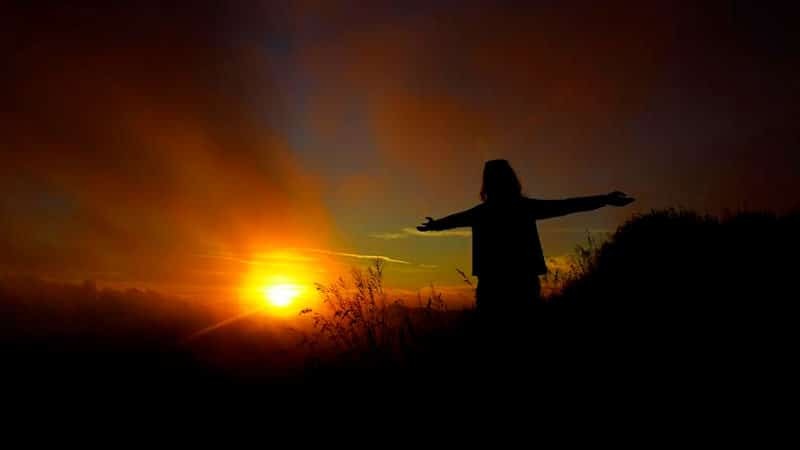 It is one of the easiest mountains to climb in Bali, actually you cam reach the summit in just 90 minutes. The summit is home to a holy temple, and what’s better than camping right next to it. The view is a bit obstructed by trees, but the hike there makes up for it. Bring all supplies with you. You can also camp along the hiking trail at Mount Batur, just remember to wake up early so you’ll make it to the top before sunrise. 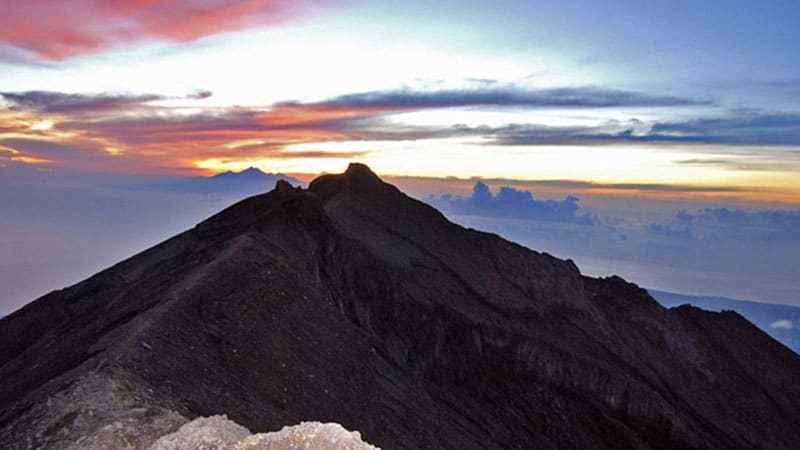 Mount Agung is the highest volcano and most strenuous to climb. There are 2 camp spots on opposite sides of the volcano. 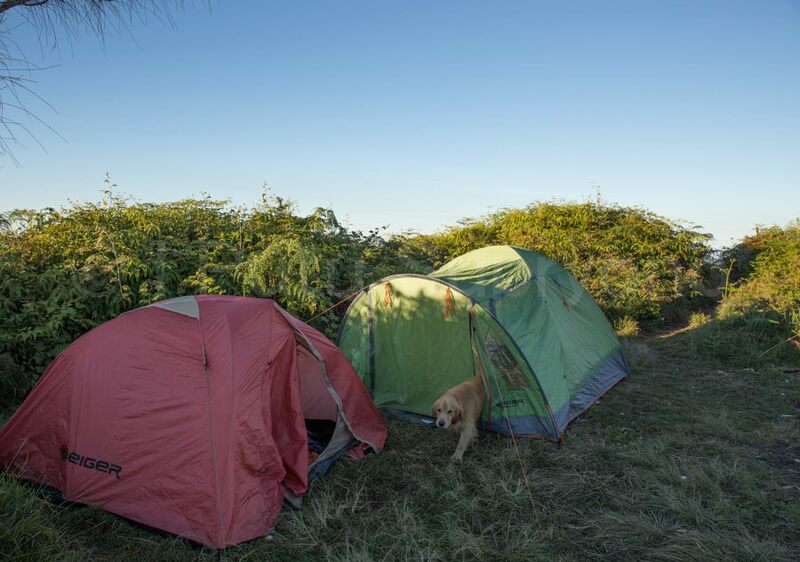 Sometimes the campsites might not be that quiet as trekkers are ascending the mountain in the middle of the night, but the camping here is superb and views are probably the most breathtaking on the whole island. The camp spots can be found on flat ground at an altitude of about 1700 metres, just below the tree lines. Due to the altitude it will get cold, so on top of amenities, remember to bring a jacket, sleeping bag and some firewood with you. 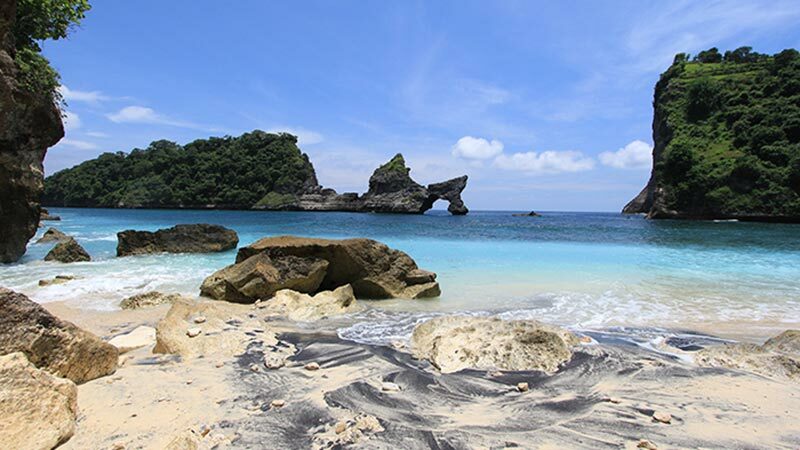 Nusa Penida is a tranquil and unspoiled island, an hour’s boat ride off the Southeast coast of Bali. Atuh Beach is a small hamlet, which looks over a rocky bay. It is a great place to set up camp and make a campfire. Supplies are available at the nearest village, which you can reach by a motorbike. 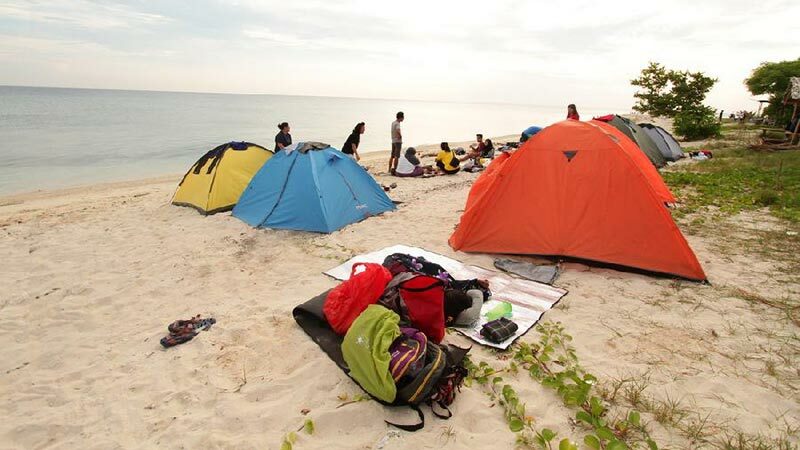 There are quite a few tour operators offering camping trips, so you might have to share the beach. Alternatively you can camp in Crystal Bay. 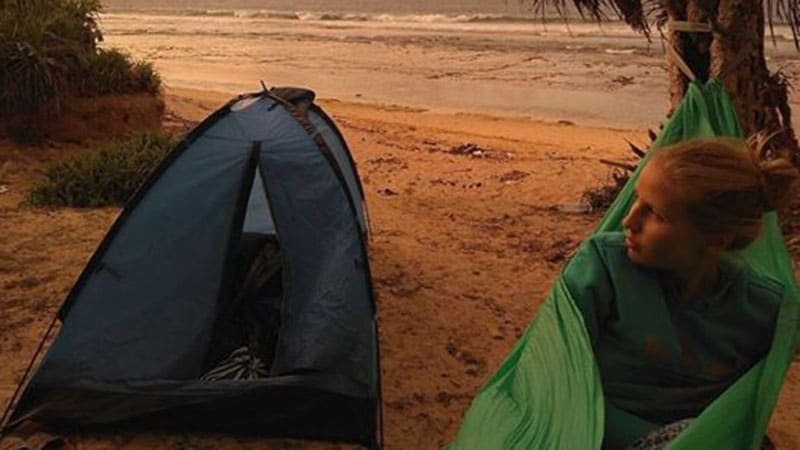 You can find other great camping spots for example in Keramas (right on the beach), Ambengan (by the waterfalls), Batu Lesung and Padang Bai. 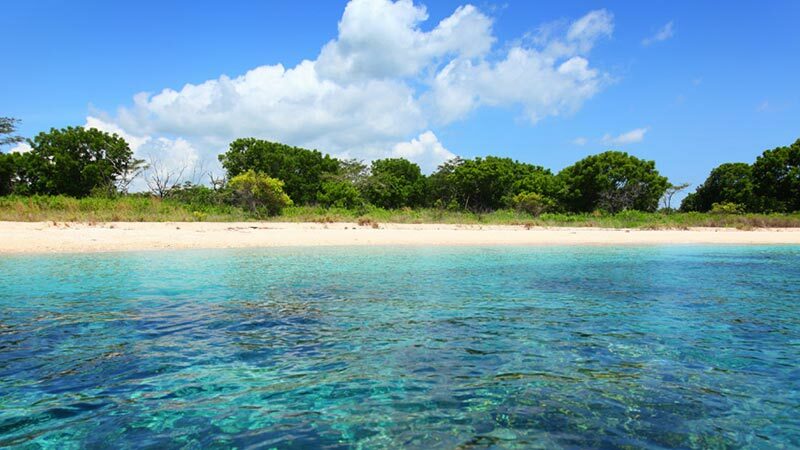 West Bali National Park is the only national park on the island of Bali. 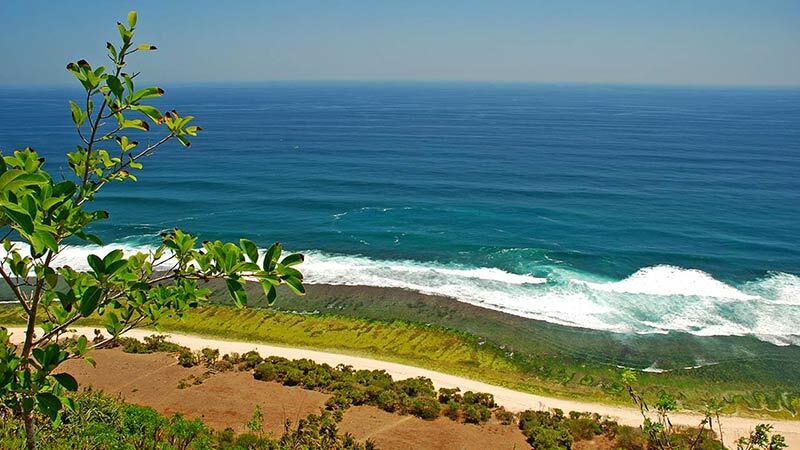 It is located at the North-westernly point of Bali. The national park is home to a few mountains, great hiking trails and Menjangan island, which is a snorkeling and diving paradise. Camping is possible at the campsite of park headquarters in Cekik. Don’t forget to bring your own camping gear and supplies. Payment is based on small donations. 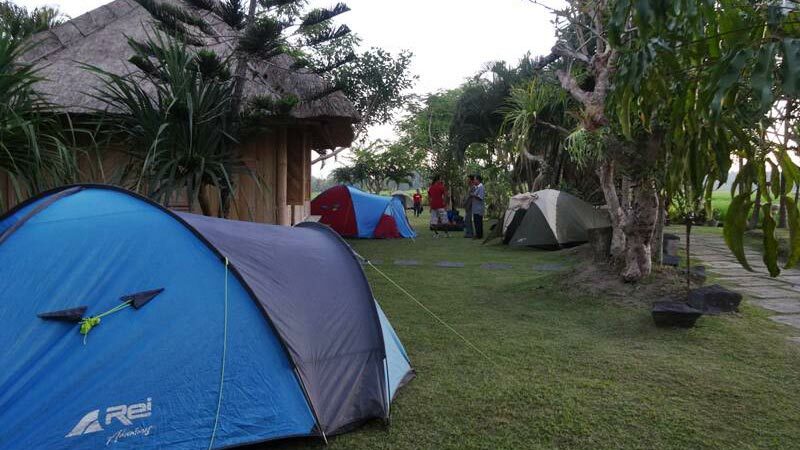 Taman Denbukit camping ground is located in Northwest Bali, in the middle of Pancasari village. 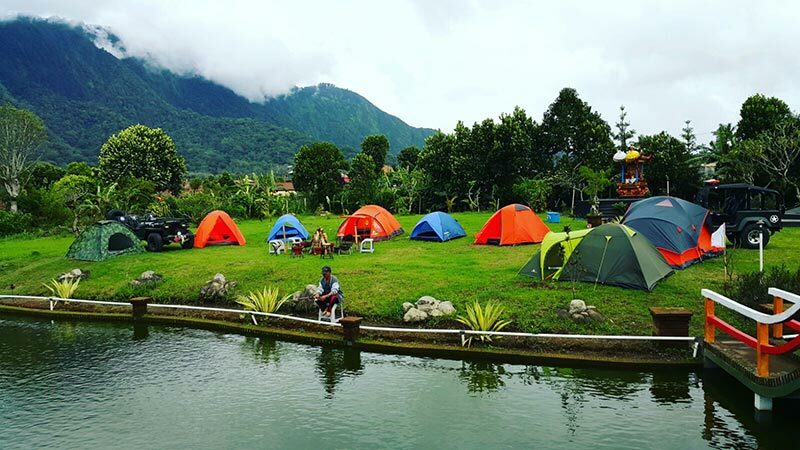 The camping ground area is approximately 2 hectares and offers panoramic views of Lake Buyan. 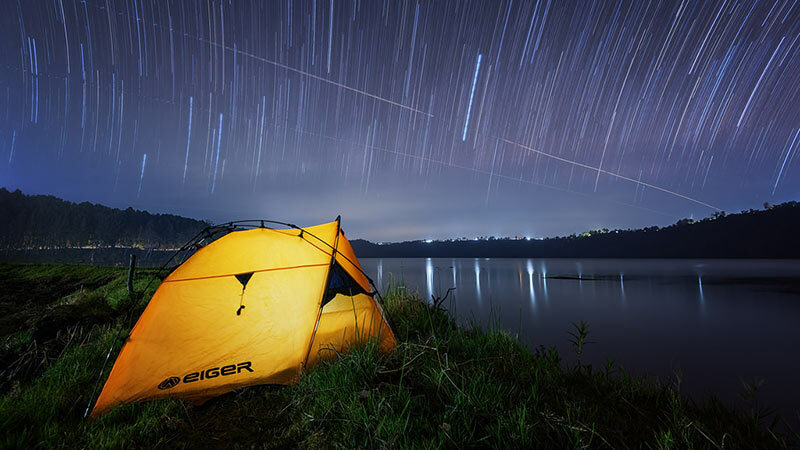 This is a mostly local camping ground and information in English is hard to find, so you could instead choose to camp on the earlier mentioned unofficial camping spot by Lake Buyan. If you wish to have more amenities and activities close by, then Taman Denbukit is a better choice. 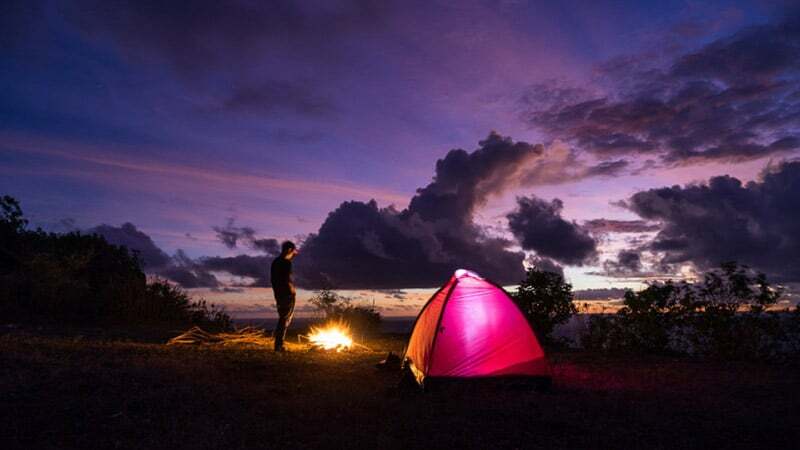 Rangkung Hill camping ground is located in Gianyar district, close to Bali Safari Marine Park and Alam Tree Top Park. It is surrounded by greenness and lies close to the sea. The location is especially popular among local families, as it is very kid-friendly. You can enjoy walks in the nature, various activities and even rent rods to fish from their pool. Amenities can be bought on site. 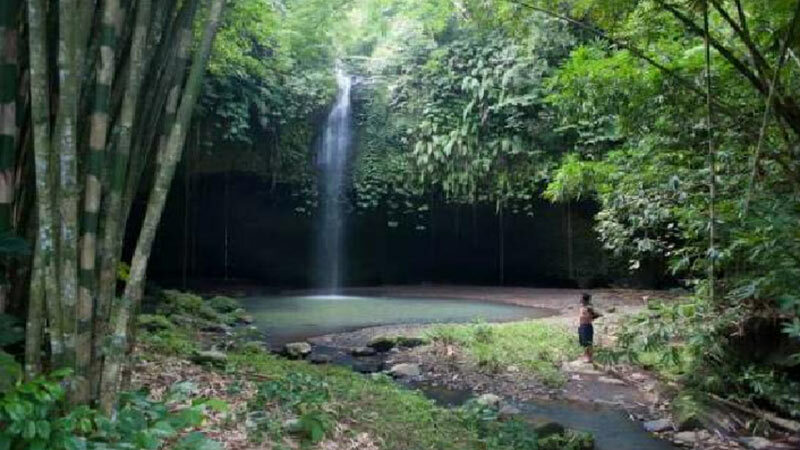 Camp Sing Sing is located close to Sing Sing waterfall in North Bali. 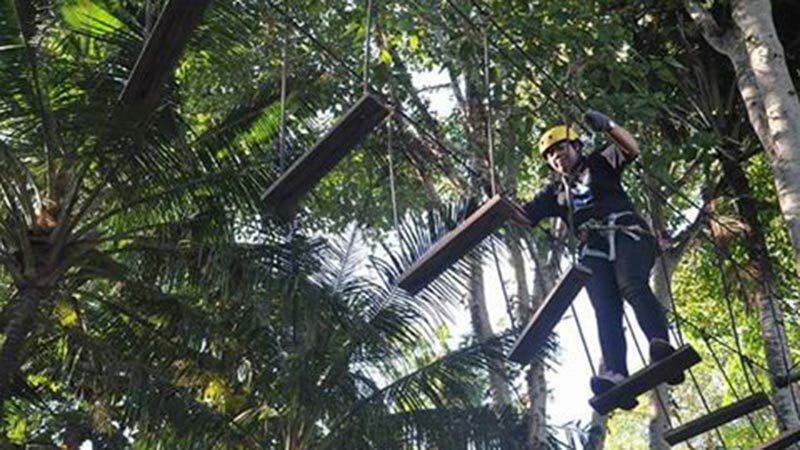 If you love getting close to nature then Camp Sing Sing could be your kind of getaway. 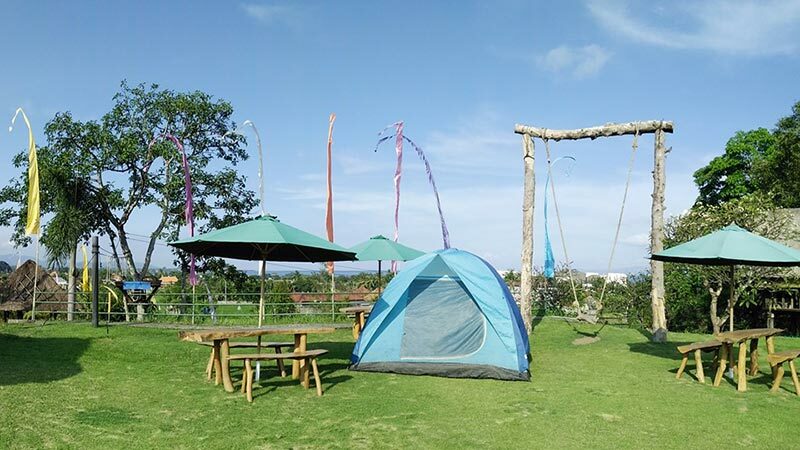 The campsite is surrounded by thick foliage and stunning panoramic views. Various activities are offered at and around the campsite. 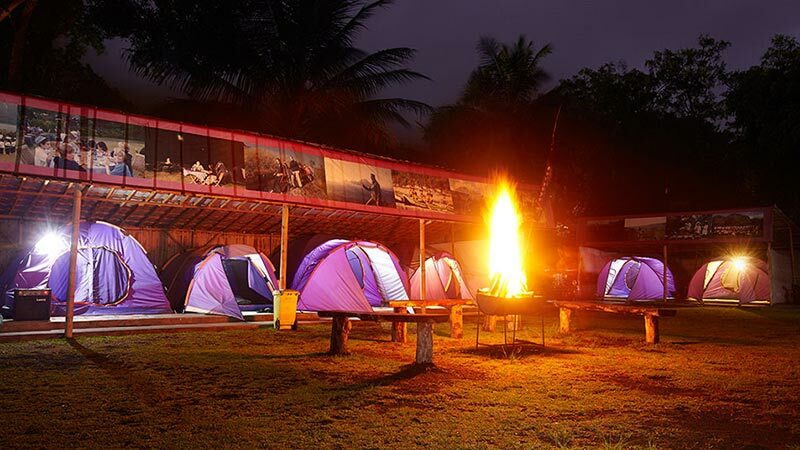 This campsite offers a unique outdoor experience with a traditional Balinese village environment. The campsite is easily accessible by bike or car if you’re in Ubud, Kuta, Legian, or Seminyak area. Guests can spend the night in tents that come complete with sleeping bags and ground covers. A campfire may be prepared by request to add to the authentic outdoor feeling. Sanitary supplies are provided for the guests. 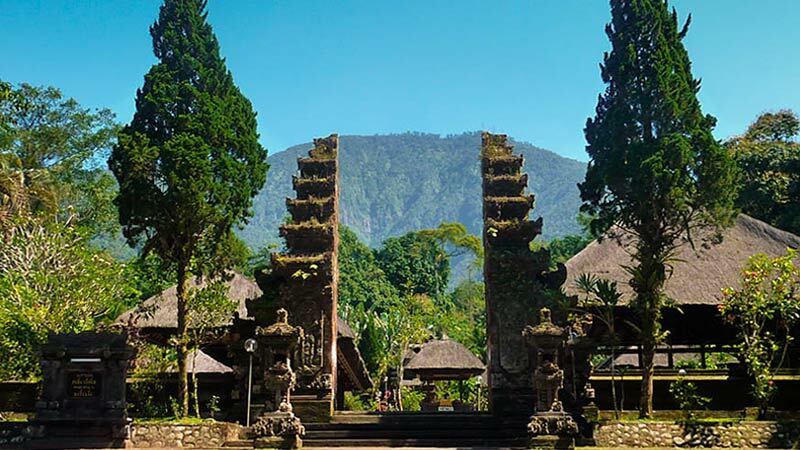 Toya Devasya is located in Toya Bungkah, an idyllic village at the foot of Mount Batur. The village got its name for its beautiful spring water that flows from the rocky regions of the mountain. According to locals, a dip in the hot spring will cure a wide range of skin diseases. 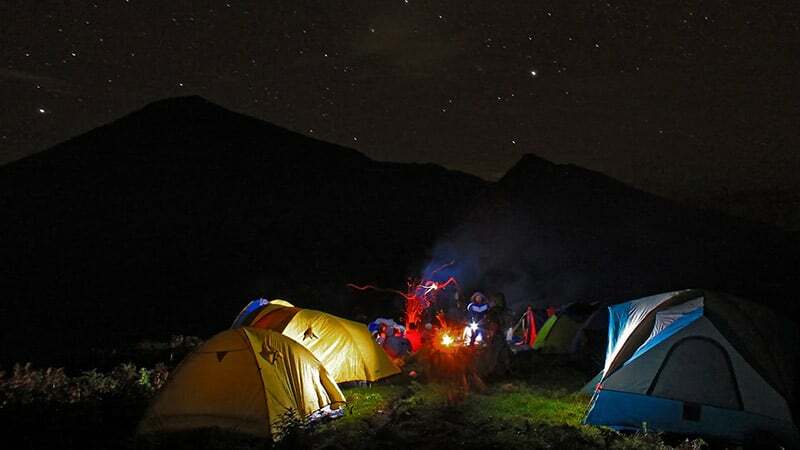 This is a very popular campsite among locals and trekkers because of its beautiful landscapes and natural hot springs. 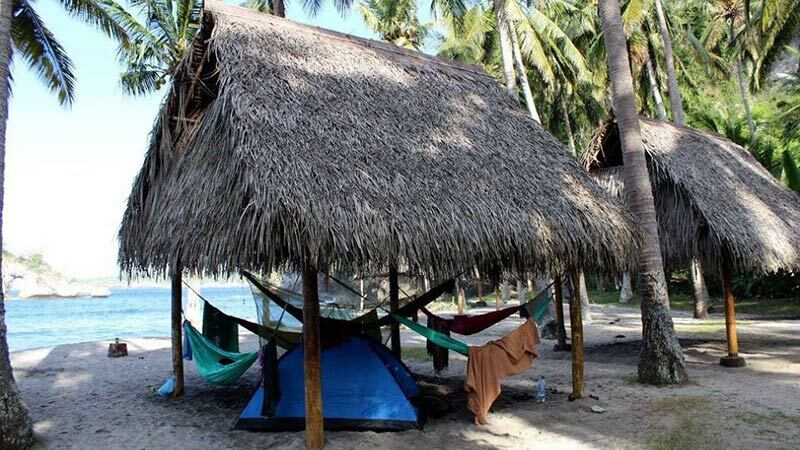 A more luxurious, agro-culture adventure camping experience is offered by Baliwoso Ecotourism Camp. 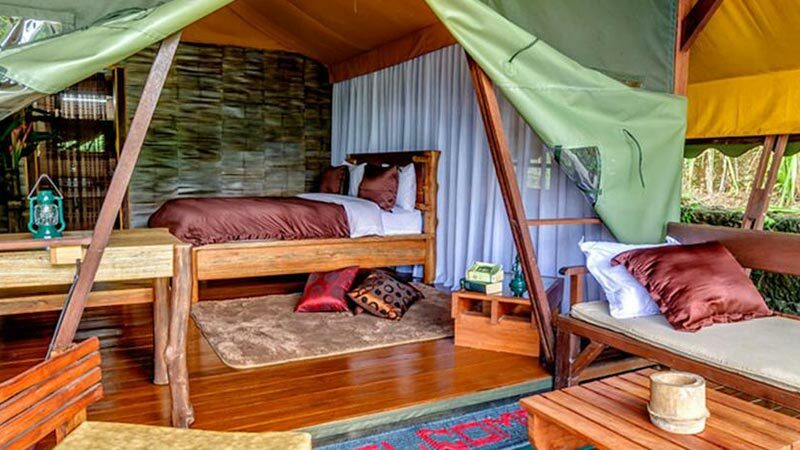 If you’re not really brave or comfortable enough being exactly one with nature, but would still like to experience something different, glamping might be your thing. The name is a combination of glamour and camping. 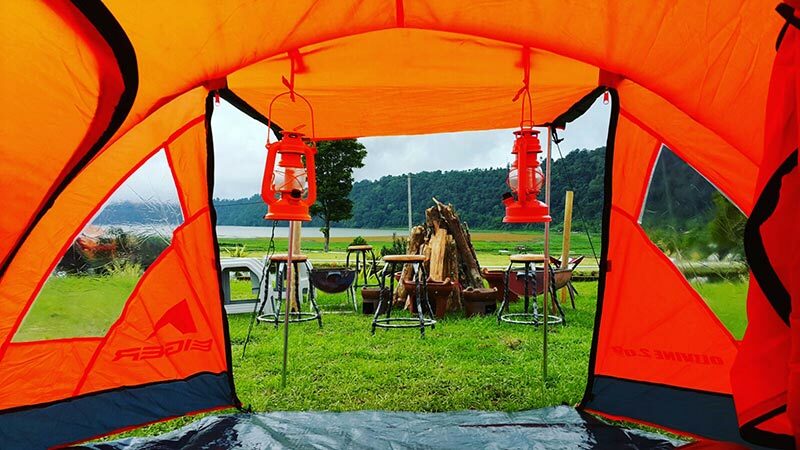 Glamping can be described as that little break from the hustle and bustle of daily life. When you’re glamping, there’s no tent to pitch, no sleeping bag to unroll, no fire to build. Whether in a tent, yurt, airstream, hut, villa or tree house, glamping is a way to experience the great outdoors without sacrificing luxury. Sandat Glamping has five different thematic tented lodges, each with its own pale-green pool, and shaded by palm trees. 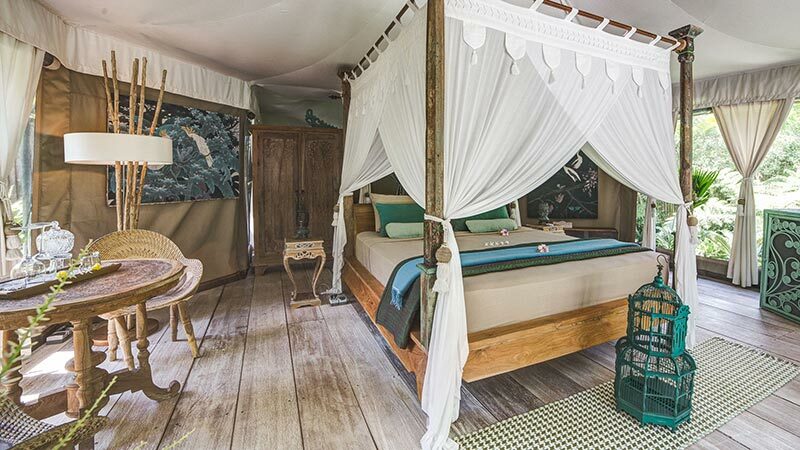 The tents are decorated in traditional contemporary Balinese style: natural wood, neutral tones, floaty muslin canopies and lie between a forest and a rice paddy and are located close to Ubud, The luxurious tents come with ceiling fans, air-con, mini fridges, iPod docks, and WiFi. 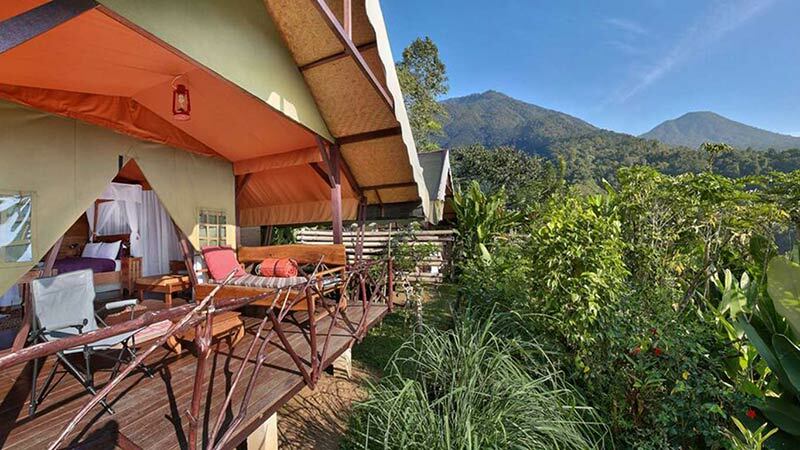 Sang Giri mountain glamping camp nestles in the cool mountains of jatiluwih, surrounded by evergreen, dense rainforest. They have eight luxury tents, each with en-suite bathrooms and private terraces, so you can enjoy the spectacular mountain views and sunrises in privacy. If you prefer spending time outside your haven, this is the perfect place for walks or biking trips in the wild. Menjangan Dynasty Resort is located within West Bali National Park, on an isolated peninsula and surrounded on three sides by ocean and a calm lagoon with a white sandy beach. 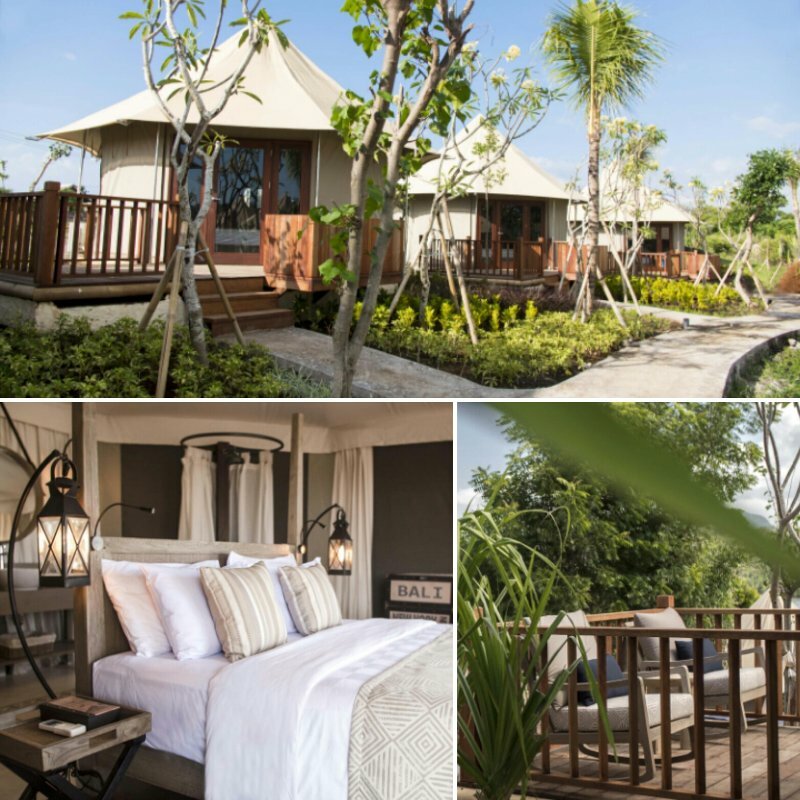 They offer luxurious tented suites and villas featuring a canvas tented roof and eco-friendly sustainable materials. 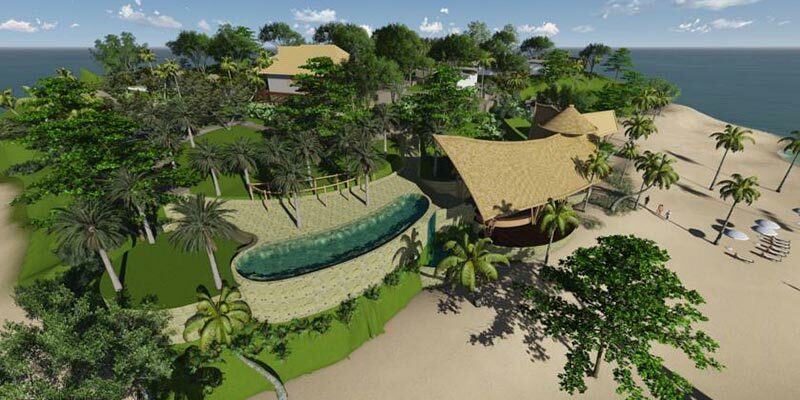 The tented villas even have their own plunge pools. The tents are blessed with glorious views of the Indian Ocean, so you can view the amazing sunsets right outside your “door”.